When I decorate the table for holiday dinners, I’m reminded of how beautiful and delicate the way my granny would set her table every year with many small plates, crystal glasses, tiny knives and pretty silver serving-ware to make you feel special. I also remember my manors and etiquette all learned from the many times watching Pretty Woman over the years, “Dinner napkin placed gently on the lap, elbows off the table, don’t slouch, shrimp fork, salad fork, dinner fork….” And if all else fails remember start from the outside cutlery and work you way in! More importantly it’s how you want your dinner party to feel for your guests! 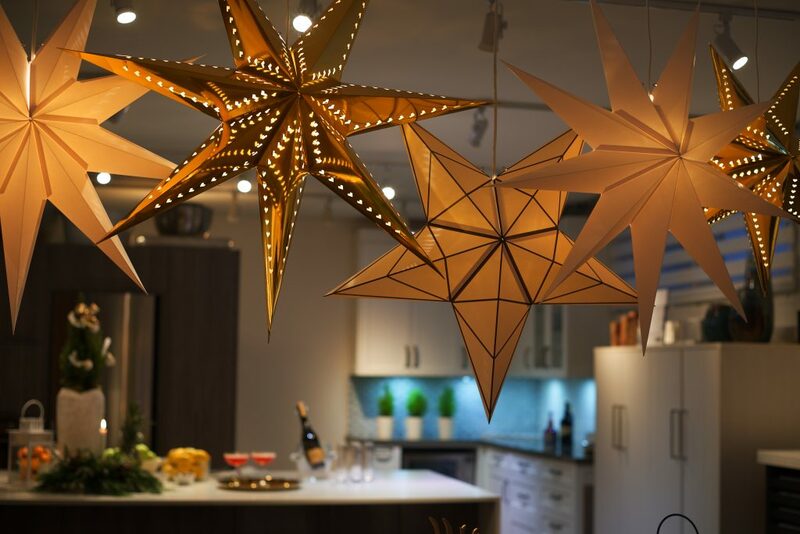 This year we created the theme “Dinner under the Stars” and had fun with STRÅLA light shades from Ikea hung in a cluster above the oval mid-century Article table. 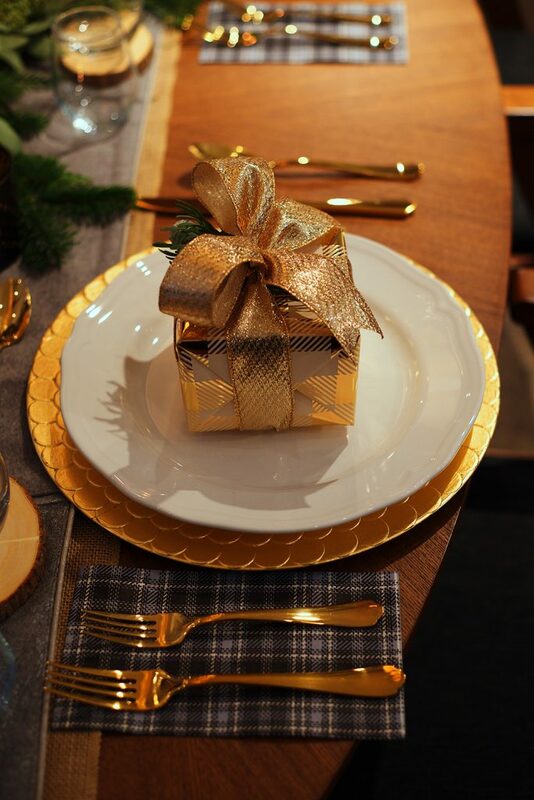 Our collection of fancy gold cutlery and chargers found from Homesense Canada, give the casual burlap and wool table cloth setting a sense of glam, which we love at every special occasion. 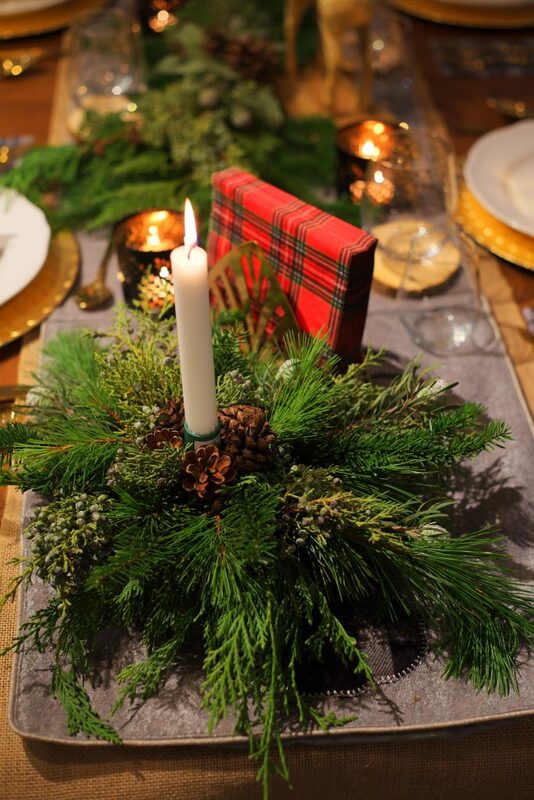 We made our own centrepiece out of greenery and craft items from our beloved Garden Works centre (check out our ‘how-to video’ on making your own holiday centrepiece) which along with the plaid wrapping and napkins give the “out-doorsy” feel for a perfect Dinner Under The Stars evening! 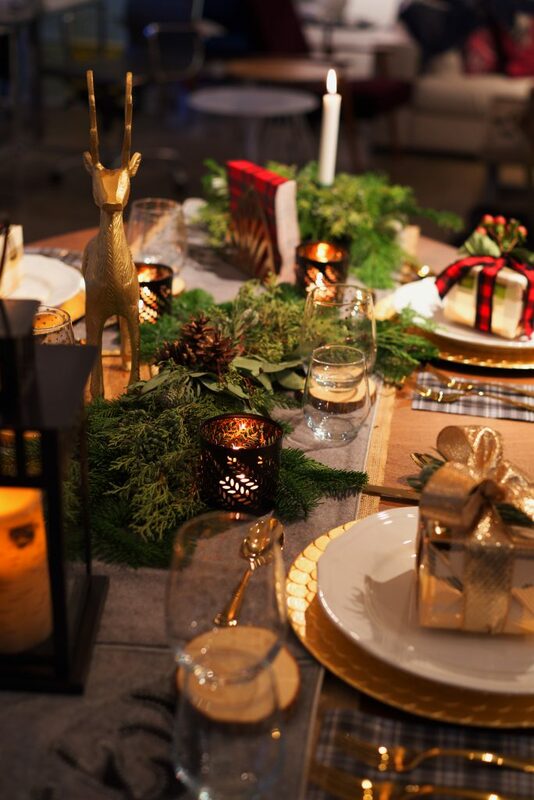 Get creative when throwing your holiday party. Imagine a fun story book from when you were young, a beautiful painting from a gallery you visited, or a scene from a play that inspired you. 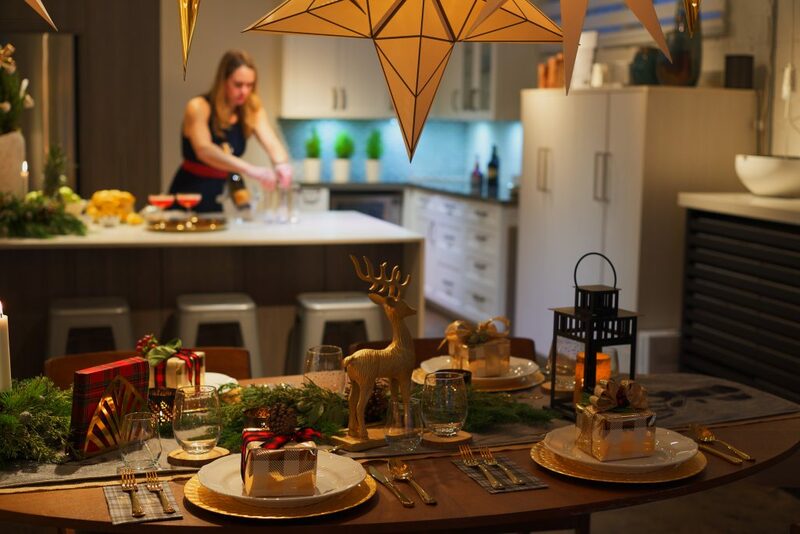 Make it fun, thoughtful, and memorable for your guests who will create their very own stories about their dinner at your house!